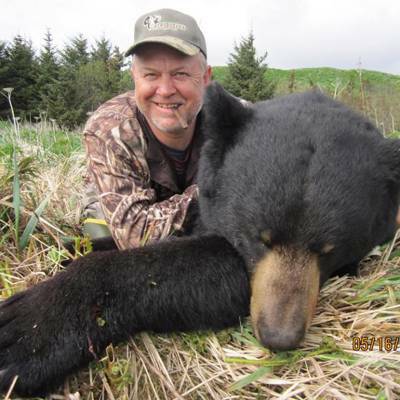 Fall Hunts: August 10-19 and 21-30:! 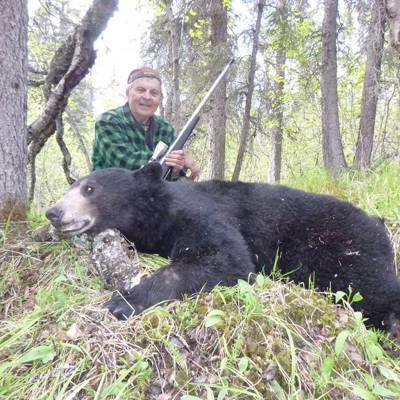 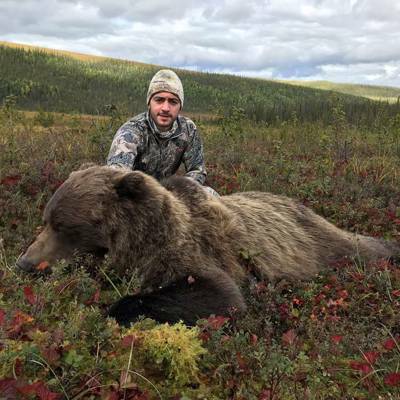 This time of year Grizzlies are often found high on the alpine ridges, gorging on the last bits of berries from the summer, and this hunt can be easily combined with a Caribou hunt. 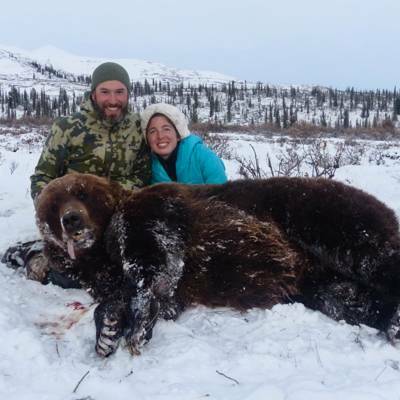 A float hunt is also a great option this time of year, as our area contains creeks with Salmon runs (rare for interior Alaska), which brings bears to the water’s edge, and also helps to grow large Grizzlies. 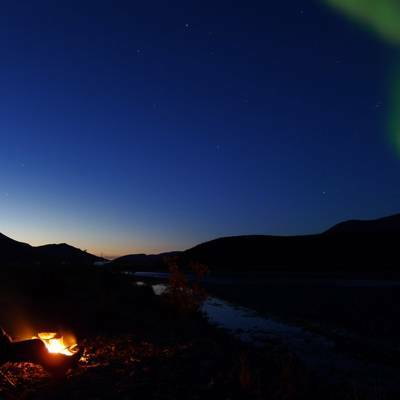 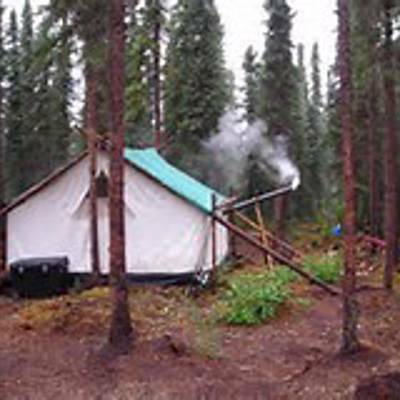 Camps are flown in using our company owned light aircraft on tundra tires or floats, and are located on high ridges or in locations with good vantage points, and hunting styles include backpacking, and stationary spot and stalk. 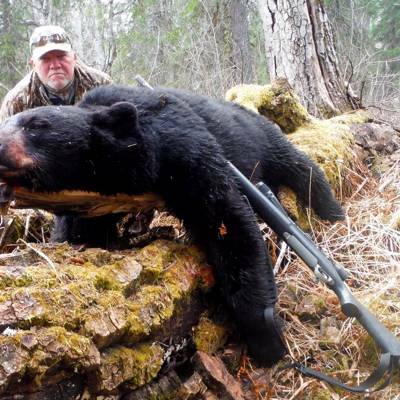 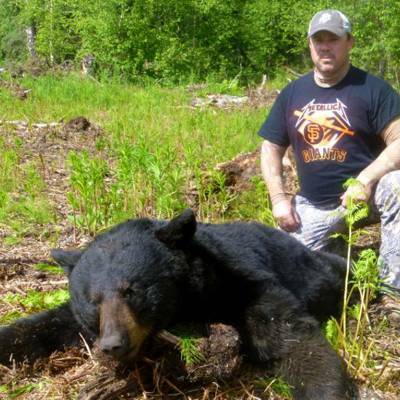 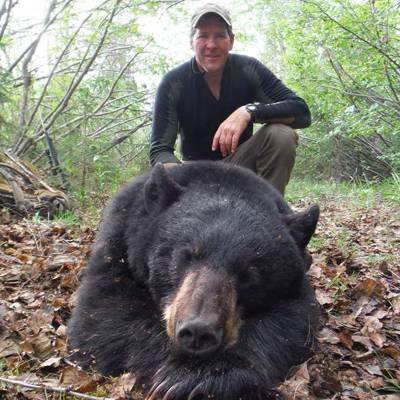 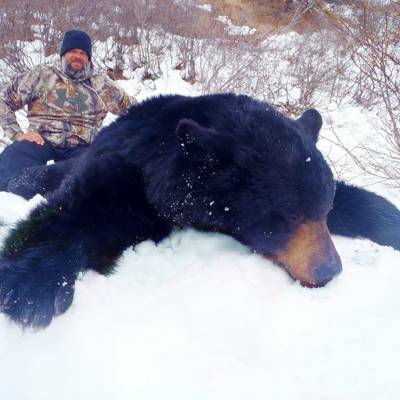 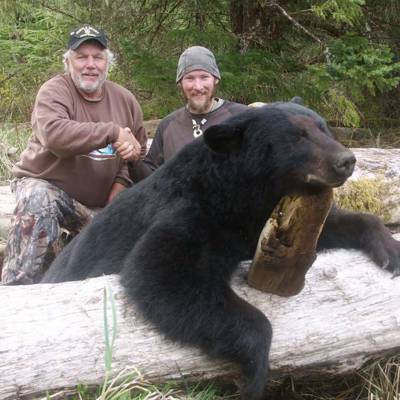 Success rate on this hunt is 80% with sizes ranging from 6.5-8.5 ft square. 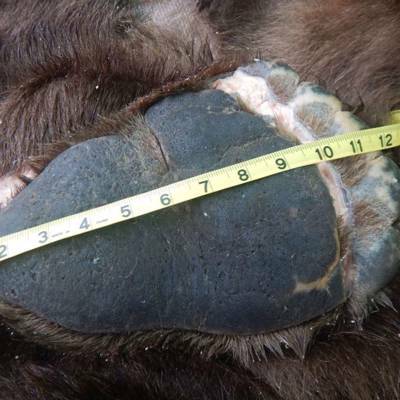 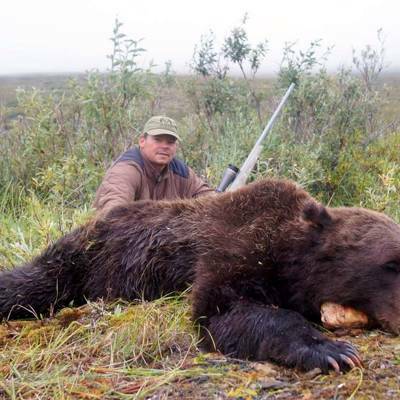 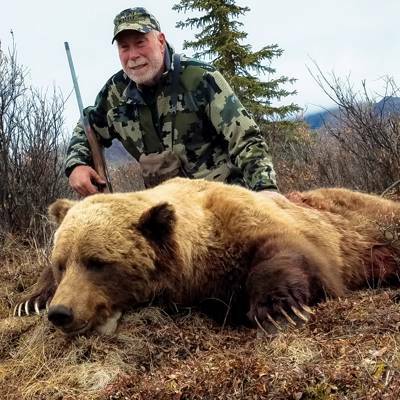 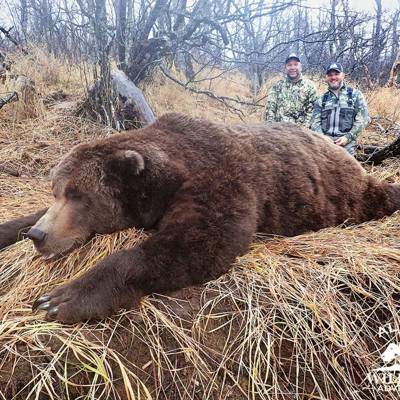 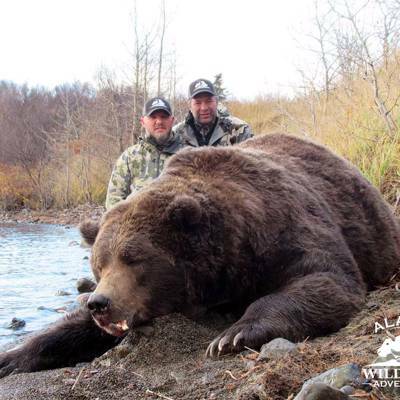 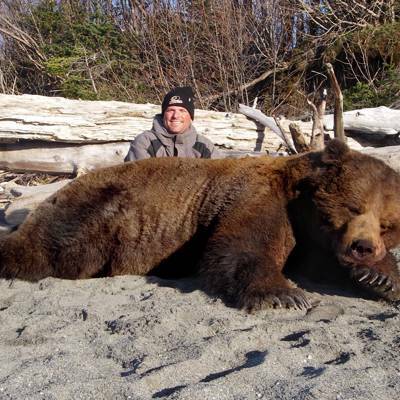 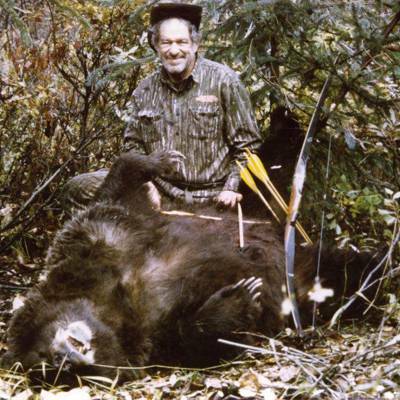 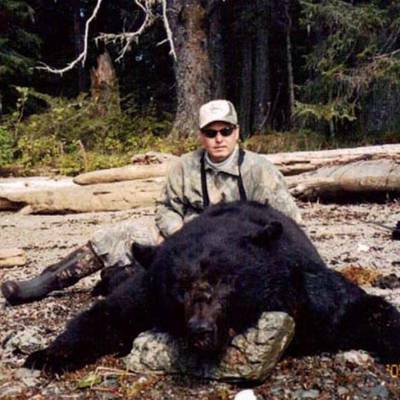 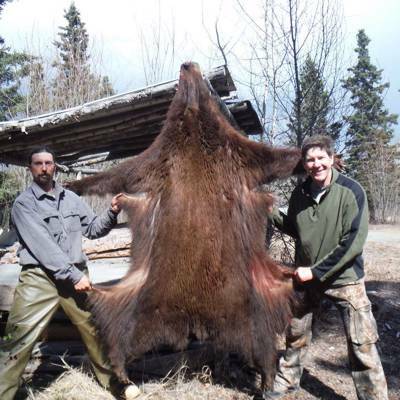 A true interior Grizzly bear is a very different animal from its coastal cousins, and is a trophy to be coveted! 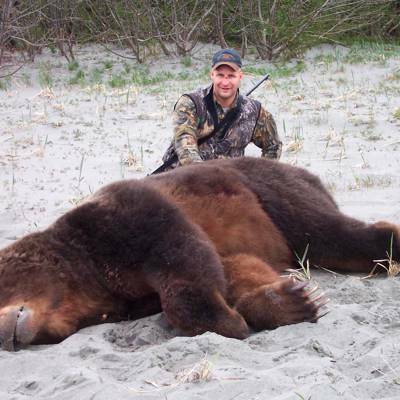 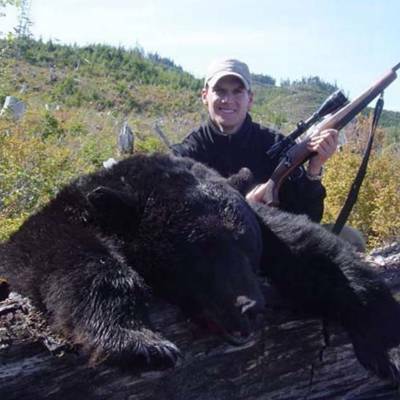 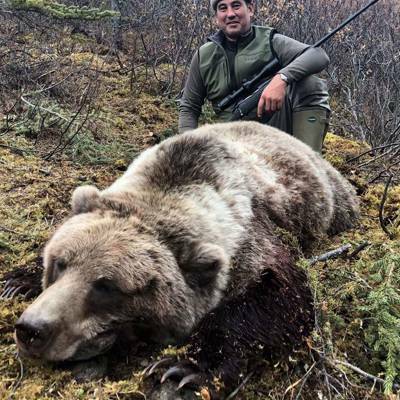 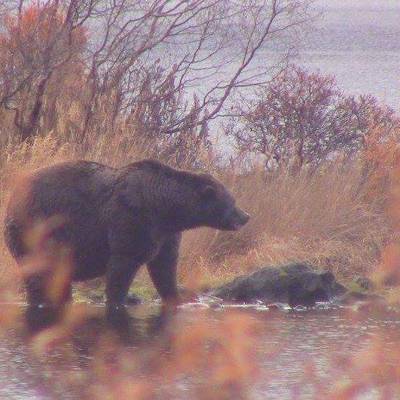 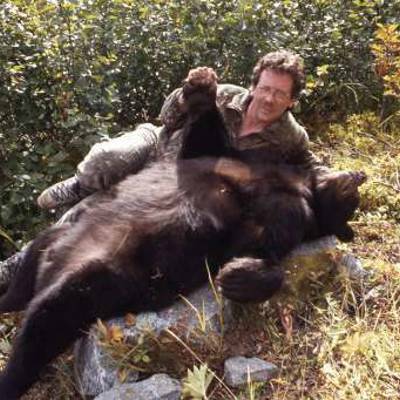 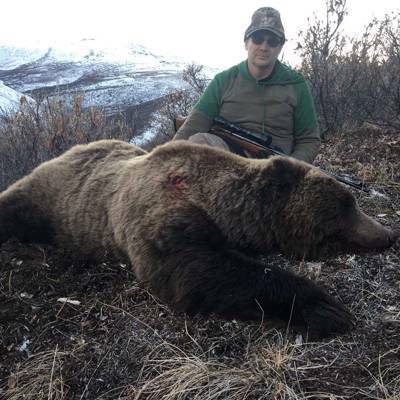 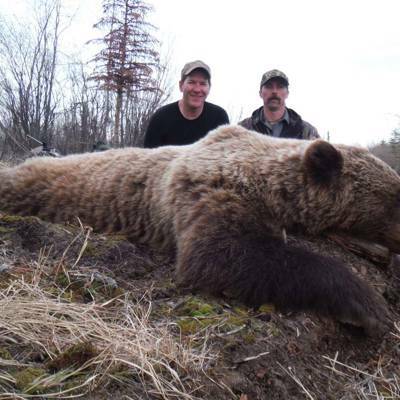 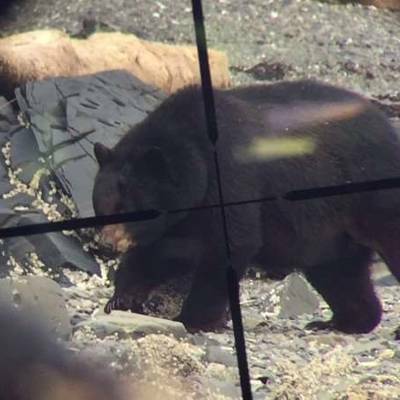 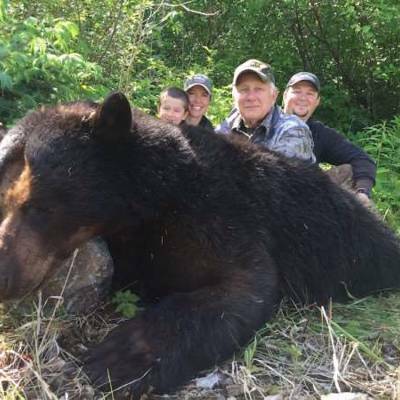 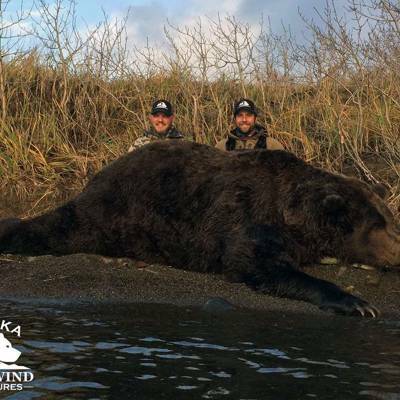 The low hunting pressure in the Sugarloaf exclusive guide use area gives hunters a great chance at harvesting potential record book brown bears that travel into and out of the Katmai Park, where hunting is prohibited. 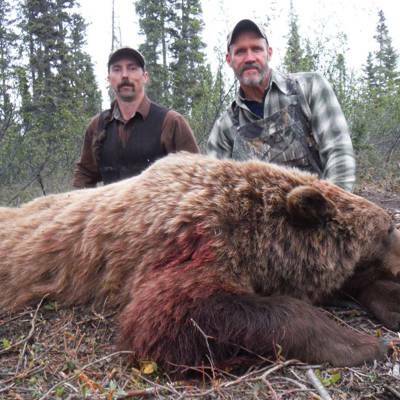 With the large concentrations of brown bears moving throughout the preserve, helps harbor some of the largest brown bears in the state. 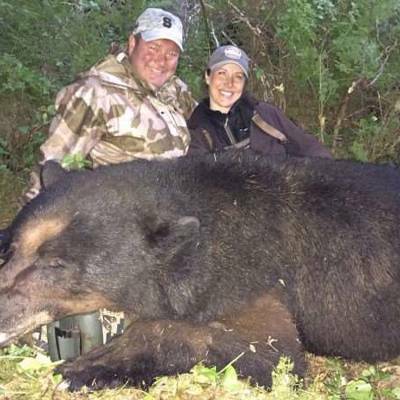 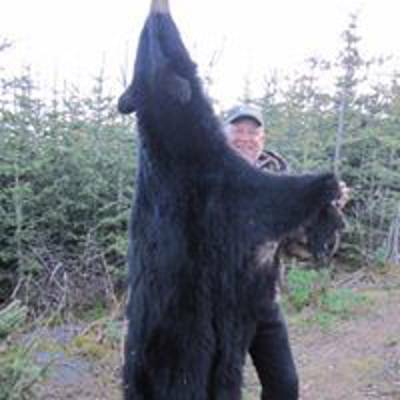 With a limited amount of permits and pressure, we focus on mature boars in the 9 foot class, with bears averaging over 9’10 for the last 5 years. 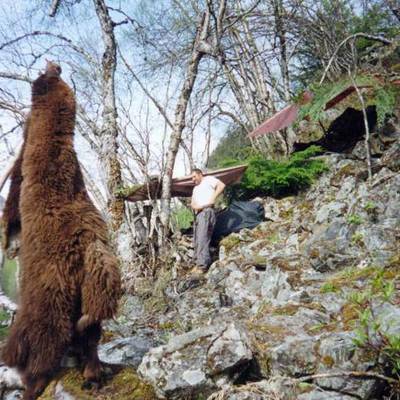 With ten foot bears around, patience is the name of the game. 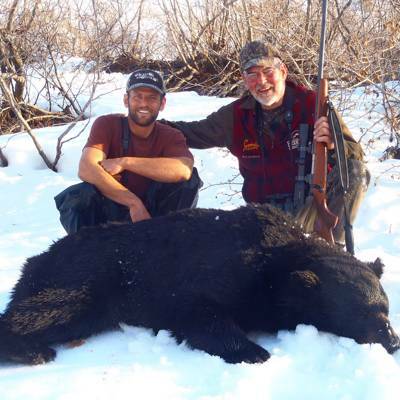 We offer one 12 day hunt option, the 12 day hunt consists of 10 full days of hunting and the extra two days are used for travel in and out of the field. 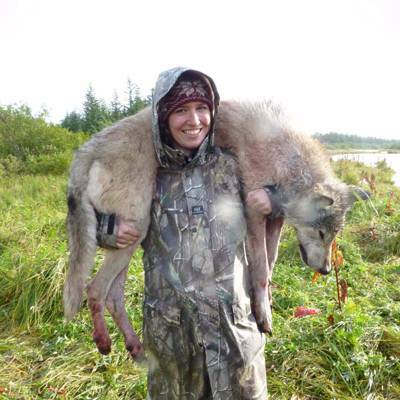 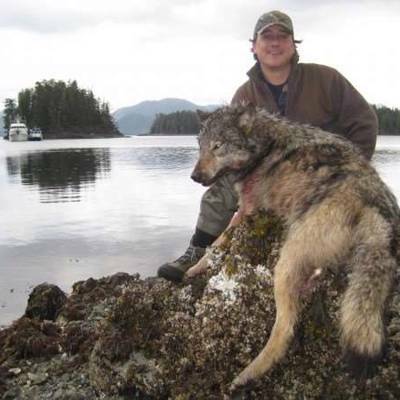 Wolf harvest in the spring is at no extra charge, as long as the hunting season is open. 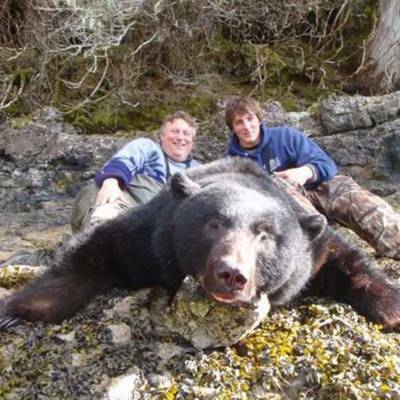 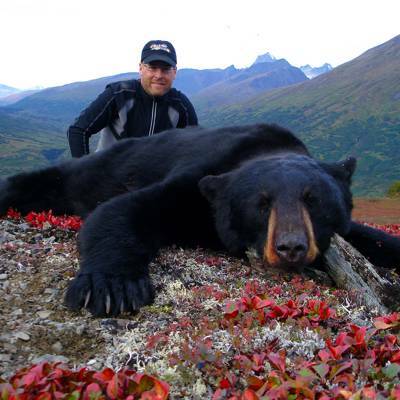 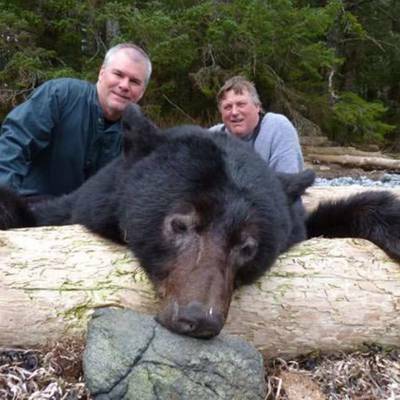 Option 1: May 9th – May 20th - Hunters should expect to fly into Anchorage on May 7th and to King Salmon on May 8th. 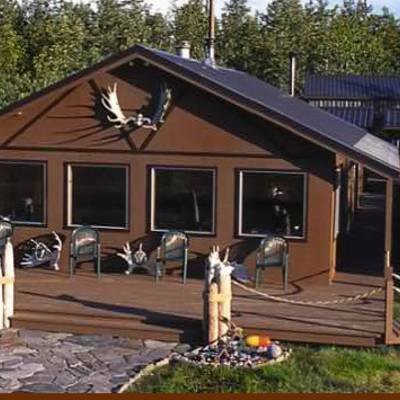 Transportation into the field will occur on May 9th for the start of the season on May 10th. 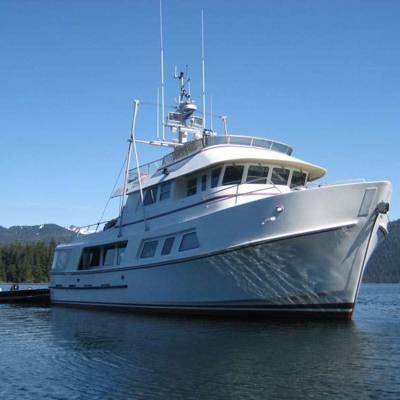 Transportation out of the field will be on May 20th. 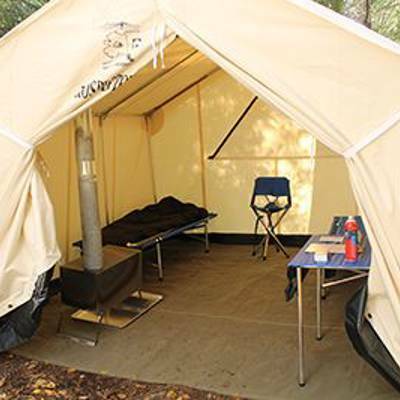 Lodging in the field One 10 x 10 sleep tent and a 10 x 10 or 8 x 8 cook tent will be used. 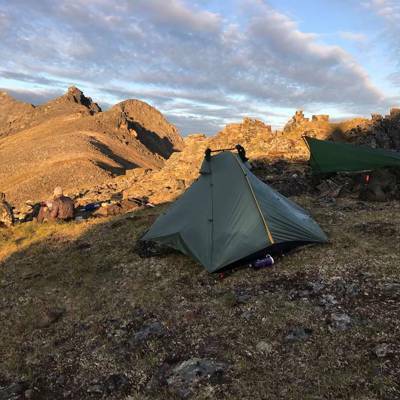 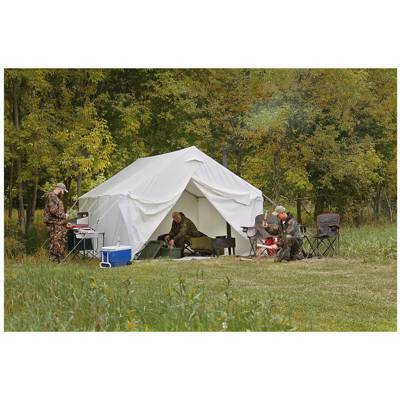 Tents will be of the highest quality and include Alaska Tent and Tarp Arctic Ovens, Bombshelter tents, Cabela’s Outfitter tents or a combination. 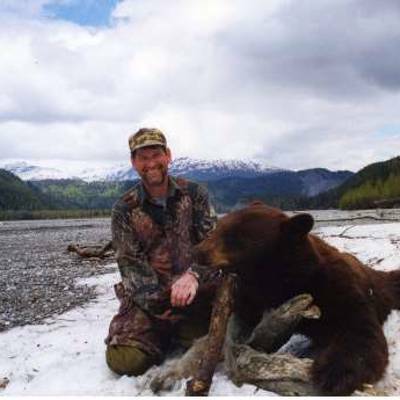 Meals will consist mostly of fresh cooked meals and then freeze dried meals towards hunts end. 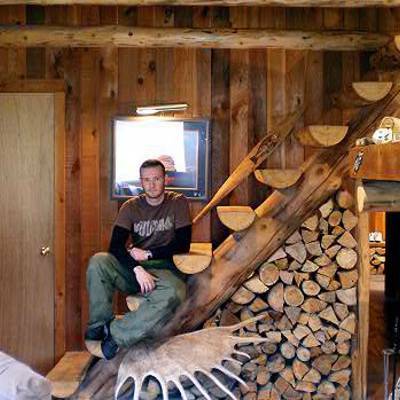 Modifications can be made upon request.